Statisticians’ Forum is a feature designed to give biostatisticians who work on oncology clinical trials an opportunity to share their experience and insights with others in a question and answer interview format. David Gray, PhD, CRAB Board Member, and Antje Hoering, PhD, President and CEO, founded the Statisticians’ Forum to highlight the important role that statistics play in oncology research. Their goal is to publish two to four interviews each year, focusing on the biostatisticians who design, manage and analyze oncology clinical trials. Clinical trials are still the tool of choice to understand and validate new therapies and the unprecedented pace at which new cancer studies are being initiated confirms their continuing importance. 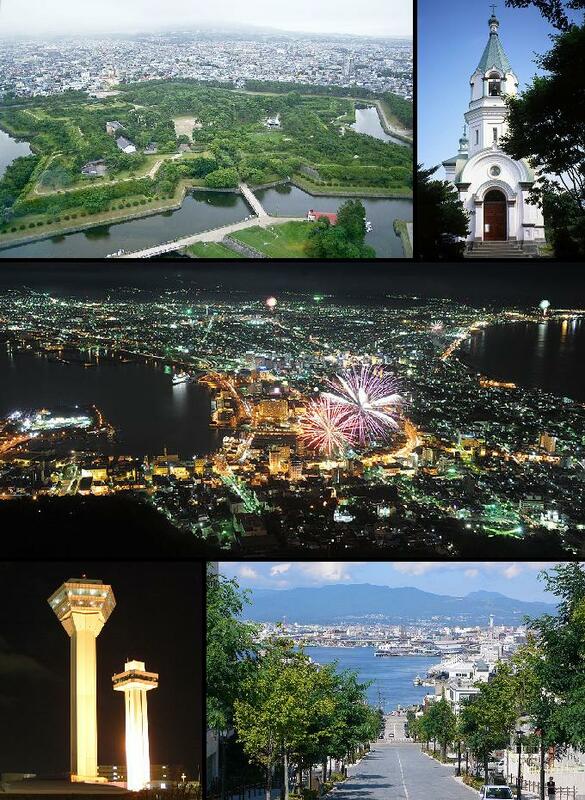 I was born in Hakodate, Japan. My home town is a mid-sized town by the sea at the southern tip of the northern island. Where did you get your undergraduate degree and what did you major in? I have an undergraduate degree in psychology (major) and mathematics (minor) from the University of Montana, Missoula. When I was a high school student in Japan, my aspiration was to become a clinical psychologist. Where did you go for your graduate degree(s) and what did you major in? I did my MS in Statistics and PhD in Biostatistics at the University of Iowa, Iowa City. I recently completed a Healthcare Management MBA at the Oregon Health & Science University and the Portland State University (a joint degree program). How were you introduced to statistics as a field of study and professional career? My undergraduate advisor, Dr. James Walsh, was a psychometrician, and he encouraged me to pursue a career in statistics as opposed to psychometrics, because it offers more flexibility for employment. After my MS degree, I wanted to do more applied work and chose to do my PhD in biostatistics as opposed to statistics. It was the best decision I have ever made! Where do you currently work and what is your current title? 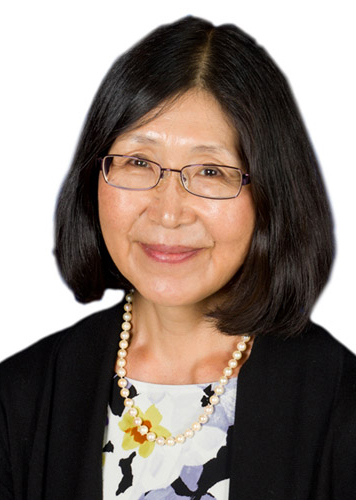 I am a Professor of Biostatistics at the Oregon Health & Science University (OHSU), Portland, Oregon. I direct the Biostatistics Shared Resource of the Knight Cancer Institute at OHSU. My official title is Walter & Clora Brownfield Professor of Cancer Biostatistics. As the Director of the Biostatistics Shared Resource (BSR), I am responsible for management and operations of the BSR, insuring that all cancer research conducted at the Knight Cancer Institute is scientifically rigorous and reproducible and creating a work environment where biostatistics faculty and staff can do their best and feel rewarded for their work. Where have you worked in the past and in what roles? I was an Assistant Member at the Fred Hutchinson Cancer Research Center, working primarily as a biostatistician in the Clinical Research Division. I worked with Dr. Lloyd Fisher and learned a lot about clinical trials involving marrow and stem cell transplantations. I moved to the University of Utah and worked as a member of the Biostatistics Shared Resource, Utah Cancer Center, which later became the Huntsman Cancer Institute. I have been a cancer biostatistician since 1989. How did you get involved in oncology clinical research? My first job was at the Fred Hutchinson Cancer Research Center, working with the Clinical Research Division. What was the first clinical trial you worked on? I don’t remember the first one, since it is such a long time ago. I do remember working on GCSF (Granulocyte Colony Stimulating Factor) trial, which later became the standard of care for marrow and stem cell transplantation patients. What are some of the memorable studies you have worked on? What made them memorable? The most memorable study was the Phase I trial of imatinib with Dr. Brian Druker. Even though it was a Phase I safety trial, patients got better, and the benefit of the drug was clear. It was a miracle! Are the design and analysis of oncology clinical trials different from other therapeutic areas such as cardiovascular, anti-infective, etc.? If so how? Is there anything about them that makes them harder or easier than studies in other therapeutic areas? It would say harder than cardiovascular trials because cancer is a rare disease, and it is harder to achieve an adequate sample size. In addition, oncology drugs are often toxic to normal cells, and so Phase I trials (dosing studies) are often done in a very limited fashion. What are some things you wish you had known earlier in your career? Are there any lessons learned you would like to share? I wish I had done an MBA earlier, since it would have enabled me to be a better manager of my group and communicator to the administration of the Knight and OHSU. In graduate school, biostatisticians don’t learn skills for managing people, negotiating the budget with the administration, or how to communicate to non-statisticians the values of statistics and biostatistics. I wish I had learned to do that much better earlier in my career. At some point most statisticians have laid awake at night worrying about some issue in the design or analysis of a study. Were there any memorable issues or decisions that kept you awake? Several years ago we had a Cox-2 inhibitor trial in colorectal cancer stopped due to a potential cardiovascular side-effect. I was the study statistician. I kept thinking about the stopping rule and how one would weigh a potential benefit vs. side effects. For example, a marrow and stem cell transplant is associated with a relatively high regimen related toxicity, but can be life-saving and curative. How does one weigh potential side effects against potential benefits, and who decides what’s right? I felt that we should involve patients in decision-making rather than allowing the Data and Safety Monitoring Committee to make the decision based purely on the statistical stopping rule. Are there any misconceptions that your non-statistical colleagues have about statisticians and their role in oncology clinical research? Is there anything statisticians could or should do to change these misconceptions? I think that most cancer researchers do understand and appreciate what we do. However, I feel that those in the administration often do not understand what we do, and they are the ones who control our budget, space and operations. I think that having them on our side through regular communication will improve the relationship. Are there areas where statisticians could or should play a bigger role than they do now? We should pay greater attentions to Big Data including data science, bioinformatics, computational biology and systems biology. Sometimes it’s challenging to work with all these groups but we once we come together it’s about trying to create teamwork. They have a different role and different ways they can contribute. Conflict happens when people feel "this is my area", but if you have common goals in mind to advance science we all can help each other to get there. In cancer research I feel we have to work as a team because it’s complex. If you were advising a young biostatistician on how to prepare themselves to work in this complex multidisciplinary cancer research environment what would you tell them? If you want to go into biomedical research you have to love the biology. You have to be interested in research and be passionate about the area of research. And try to understand what the other groups and disciplines are trying to do. That goes along with being part of the team. Be open minded about the different perspectives; not just that you’re right and they’re wrong. See how different people view the problem. For example an economist will look at the problem very differently and use different language but you find out we are really talking about the same thing. You have to be patient and not rush to judgement. The pace of oncology research has been speeding up and the time to initiate, execute and analyze studies has decreased. Has this been the case for you and if so how has this affected you? Yes. Our Clinical Trials Office has implemented several continuous quality improvement measures including a shorter time line for protocol review. The studies are more complex. This has increased the pressure and stress of biostatisticians who are already over-working. We’ve had to increase the number of staff. I spend a lot more time training and onboarding people than I used to. I’ve had to reduce the time I spend supporting investigators, which I love doing, in order to support the new people coming onboard. Have there been any changes to your role or in the statistical methods/designs used in your studies over the last 10 years? If so what are they? My role as the Director of the Biostatistics Shared Resource has not changed over the last 10 years. We are excited with the growth of the unit and a new partnership with the Cancer Research and Biostatistics (CRAB). We are using less and less 3+3 design for the Phase I trial, which has taken a long time. I see more and more of biomarker driven trials and combination trials. We are using more Bayesian type Phase I designs but sometimes it’s hard to get buy in from the investigator or pharmaceutical companies who say they want 3+3. So we are spending a lot of time educating the investigators. Changing the culture and mindset is hard. Fellows and junior investigators seem willing to do it but the mentor who may be a senior investigator often says, “Why don’t you do it the other way?” The sample size in the Bayesian design is bigger but you get better information this way. This increases the cost of the trial so there’s a little more convincing to do but we are getting there. We also have a number of precision medicine studies where people are assigned different drugs based on a molecular profile. The sample size per drug group gets really small. The studies are becoming more descriptive in a way and people have to use more modelling. Are there any differences working with pharmaceutical sponsors on industry trials? All studies at Knight go through scientific review. We have three biostatisticians involved in scientific review. They will comment that there are better designs than 3+3 but we really can’t force an industry sponsor to change its study design. But if it’s an industry sponsored investigator initiated trial we do have a say. If the investigator wants to do a 3+3 we can come back with a proposal for a better design. If we can convince the investigator and as long as they meet the budget we can probably get buy in. The part that is really hard in working with industry are the precision medicine trials which use drugs from different companies in the same trial. We have to go to the different companies to get buy in for the study and it can be really difficult. What changes do you see in methodology, study design, data collection or the role of the statistician in the next 10 years? I expect more and more adaptive trials, Bayesian methodologies, biomarker driven trials, immunotherapy, and combination trials. I expect that we will be more involved in “data” capture, evaluation and sharing of not only clinical data, but also “omics” and imaging data. A couple of years ago we rolled out an EDC system for clinical trials. The database builder took the protocol and built the database based on the protocol. Then we were asked to review the database and sign off on it. What we realized was the protocol was not written precise enough for the database builder to build the database. For example one protocol stated the primary objective is treatment response but there was no description of what the treatment response was or what time point it was. The statistician reviewing the protocol, because we had been asked to sign off on the database, looked at the schedule for assessing treatment response. One of the criteria was imaging. She looked at the imaging schedule and it didn’t line up with the treatment assessments. Prior to EDC we hadn’t done this type of review. All we did was write the statistics section and really didn’t look at the rest of the protocol except for the endpoint definitions. But we hadn’t looked at a protocol in a way that someone would build a database. The way we look at the protocol, the data, and the way we interface with the EDC system is all new. Then we started asking all these questions of the study team and they got annoyed with us. Now the whole dynamic of our interactions with the PI, the study team and the clinical informatics team has changed. We are all trying to learn from one another to make things go smoothly. The time when we just got the data, analyzed it, sent it back, and were done, that time is gone. We should not be locked in what we learned, keep flexible, adventurous and open to ideas in other fields, always enjoy learning new things, and not afraid to go out of the box!